The existing extinguishment device used in spacecraft is an inert gas (CO2) extinguisher or water mist which is a promising technique to suppress flames, however, the remained production of fume (harmful) gas in the enclosed space was paid little attention, although its removal from the cabin is not an easy task. 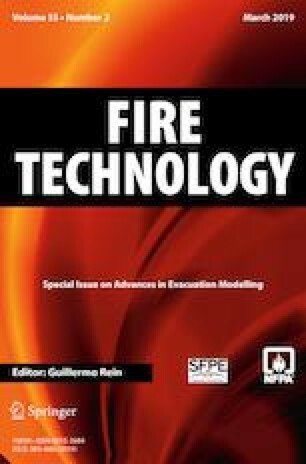 We propose novel methodology, which can completely resolve this problem; namely, flame is extinguished by “a vacuuming operation” driven by the pressure difference between the suction box and the cabin, whereby toxic gases and even the fire source is drawn into the box, where an effective extinguishment procedure can be separately operated. To convince the effectiveness of this methodology and investigate its performance, a specially-designed test device is developed and an extinction test is examined in this paper. The main experimental parameters are the suction flow rate and the distance between the end of the suction pipe and the burning specimen. The burning specimen used in this study is a small scale electric wire with a polymer sheath. The extinction process via suction operation has been observed carefully. In addition to the direct observation, velocity measurement induced by suction operation as well as the use of the Schlieren imaging technique are introduced. It is found that the vacuuming extinction can be categorized into three types based on the mechanism leading to the extinction. The model of the extinction procedure is proposed and corresponding three non-dimensional numbers as a function of vacuuming volume flow rate (Q) are developed to predict the mode on vacuuming extinction. Afterall, this paper successfully show the concept of a vacuum extinction and how it works. This research is supported by Grant-in-Aid for Challenging Exploratory Research, The Ministry of Education, Science, Sports and Culture (# 25560160, PI: Y. Nakamura). Fruitful discussions with Prof. Bhattacharjee from San Diego State University is greatly stimulated.